Whether repowering your boat or just looking to improve your current performance, ACME has you covered. ACME Marine Propellers. Unparalleled precision. 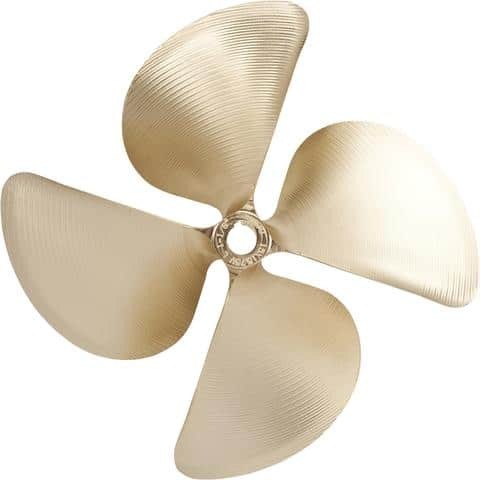 ACME designed and manufactured propellers are sophisticated and specific to meet the needs of both commercial & recreational boat owners. ACME propellers feature certified materials for consistent durability and lifespan, and are manufactured to the highest standards. Seaboard offers propellers and propulsion packages for a large range of commercial & recreational markets and can provide custom props for almost any application. ACME Propellers are built to make your time on the water the best it can be. When your repower project is ready for propeller selection, let Seaboard help you determine the best propeller specifications to yield the best performance. Complete the form below to obtain a quotation on a propeller that will make your repower project come to life.